Organizing a party? 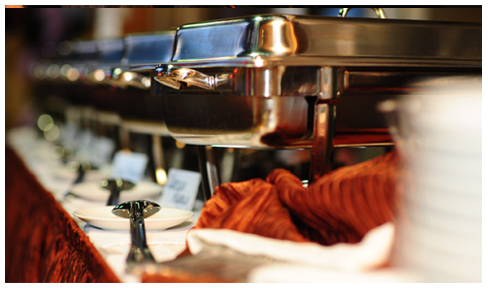 Be it a special occasion or official gathering, you may have a million and one things to do. Let us make it easier by taking care of your food and beverage requirements. We specialize in customizing the menu, set-up, live stations and other needs you may have. Vegetarian and non vegetarian menus are available from S$18/- to S$20/-, respectively.